Maintain airflow whilst creating interest through lighting effects. 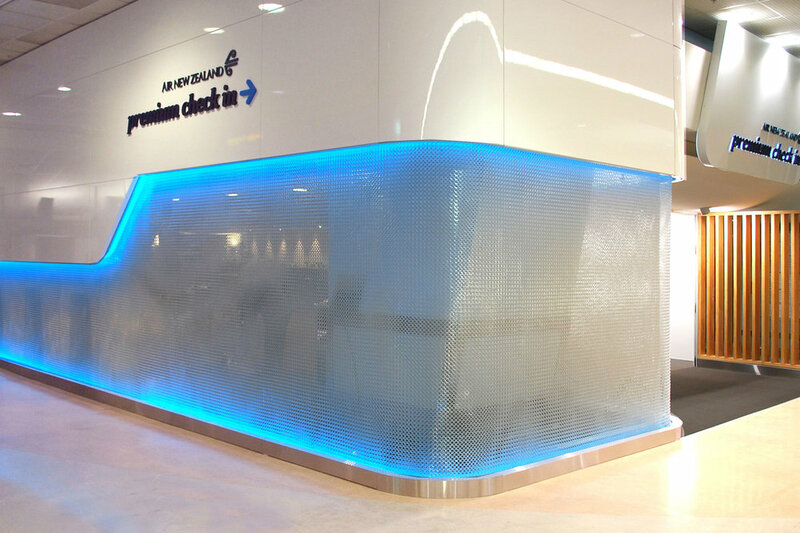 When Air New Zealand's design team redeveloped their premium check-in area at Auckland International Airport they chose Kaynemaile framed screens for their point of sale units. Installed as double-layers the screens allowed the designers to incorporate in-built LED lighting while maintaining airflow through the check-in area.